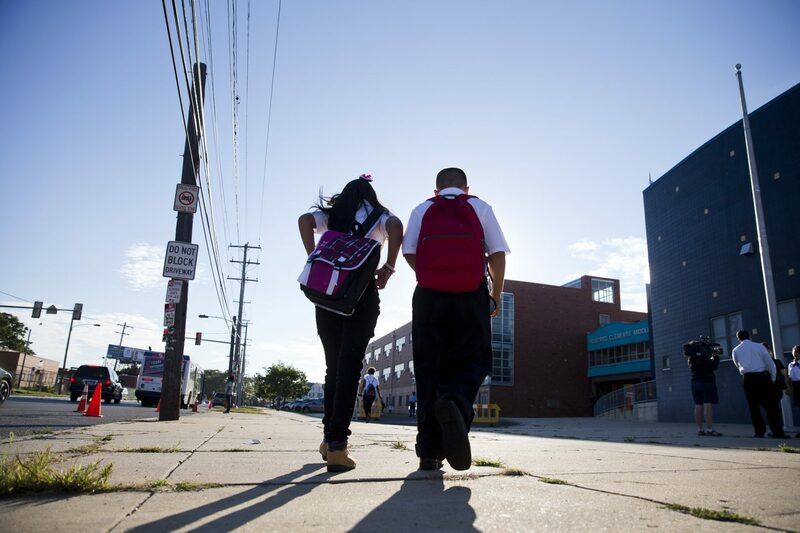 FILE PHOTO: Students arrive for school Monday, Sept. 8, 2014, in Philadelphia. (Philadelphia) — After a pair of state investigations, the Pennsylvania Bureau of Special Education will send new guidelines to school districts across the state on how to identify and serve students who require surrogate parents to advocate for their special-education rights. “There was virtually no person dedicated to looking out for that person to make sure they were getting what they needed at school,” said Joki, referring to the homeless students that spurred the investigation. “Without that person these students do not have a voice,” Joki added. Joki added that ELC attempted to work with the district and only filed a formal complaint after the district failed to respond quickly.